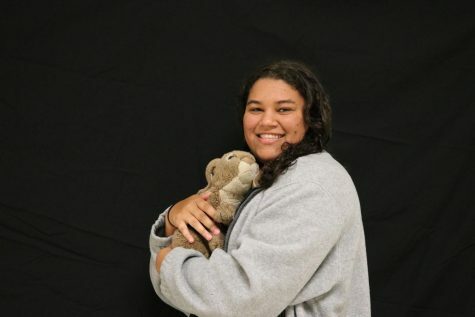 My name is Sydney Evans, and I am a fourth-year member of SHS’s journalism program. I was originally introduced to this class by my sister and after my freshman year, I fell in love. Since my freshman year, I have been a leader in the class, taking on the role as an editor my sophomore year. I have been an editor for the website, The Leaf, and finally The Leaflet. I absolutely love to design and create cool, new infographics and learn new techniques on the Adobe programs. I am also a Varsity water polo player and have been for the past two years, which is coincidentally also the same amount of time I have been playing the sport. In my free time, I love to draw and have even been able to incorporate this passion into my journalism career as the staff cartoonist. I also love working with my older sister, Taylor, to make drawings of characters and scenes from her novel to help promote her work and inspire others to be creative. I hope to have a career in astrophysics after graduating college and I look forward to my senior year and everything I will get to experience afterward!